Netflix is without doubt a very popular service that allows you to watch TV shows and movies by streaming them to devices you are using. The service is a lot cheaper than cable in most countries it is offered in, and since it is digital, enables you to pick what you want to watch. The quality of the Netflix stream depends on several factors that include the bandwidth available on the customer's end, the player technology used to play back the video streams, and the web browser. Especially the latter may come as a surprise to users of the service but the Help Center on Netflix's website indicates that this is indeed the case. 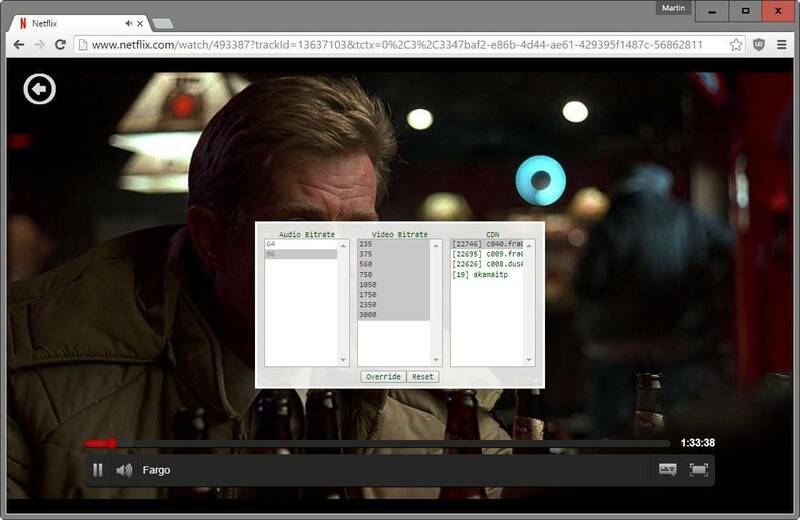 The HTML5 Player may limit the quality of the stream while the Silverlight player does not. HD resolution streams are only available if the Internet connection supports at least 5 Megabits per second, but that is not the only restriction. Only Internet Explorer and Microsoft Edge on Windows, Safari on Mac OS X, and Chrome on Chrome OS support 1080p HTML5 player streams while Chrome, Firefox and Opera only stream up to 720p in quality. You can check the quality of the stream with the shortcut Ctrl-Shift-Alt-S. There are several things that you can try to resolve the issue. First, you want to make sure that you are subscribed to the right plan. The basic plan does not support HD or Ultra HD, and if that's your plan, it explains why you cannot stream in HD quality. You can also verify the quality that you are getting by using the shortcut Ctrl-Shift-Alt-S while a stream is playing using the HTML5 Player. 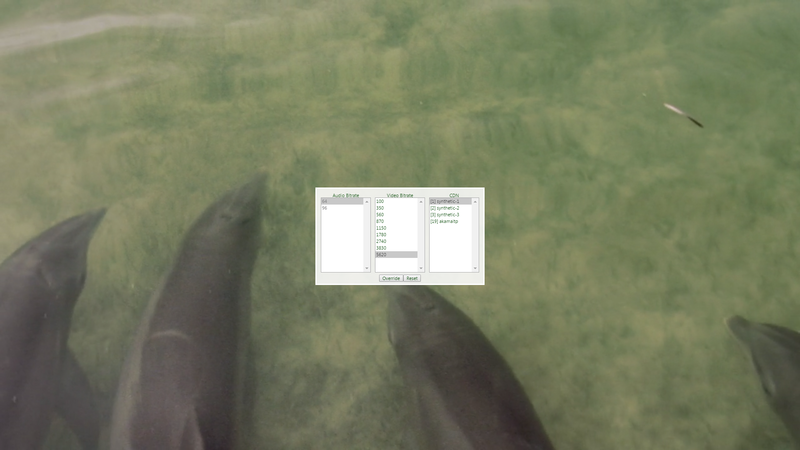 A menu pops up listing all video and audio bitrates supported by the player. If you see 3000 as the maximum, you are only getting 720p at the most. Some videos are not available in HD or Ultra HD, which means that you won't be able to play them in better quality even if you met all requirements. I suggest you try several movies or shows, for instance Netflix originals to make sure that is not the limiting factor in your case. While you could switch browsers if you are using Mac or Windows devices, to watch in 1080p, you could also consider using one of the native applications that Netflix offers. These apps, usually, offer HD streaming while web browsers may not. This is for instance the case for gaming consoles, the native Windows application and many more applications that stream Netflix. Load https://www.netflix.com/YourAccount in your browser of choice. Select "Playback settings" under My Profile on the page that opens up. The default data user per screen value is set to auto. If your Internet connection supports the minimum bandwidth for HD, select High to enforce HD playback if supported. Another thing that you can do is check the Netflix speed index to make sure your Internet Service Provider delivers the required bandwidth to watch streams in HD. This is especially important if you are using a native application or a system browser on Windows or Mac as they should deliver 1080p if the video is provided in the quality and the Internet connection supports the bandwidth needed to stream in HD. 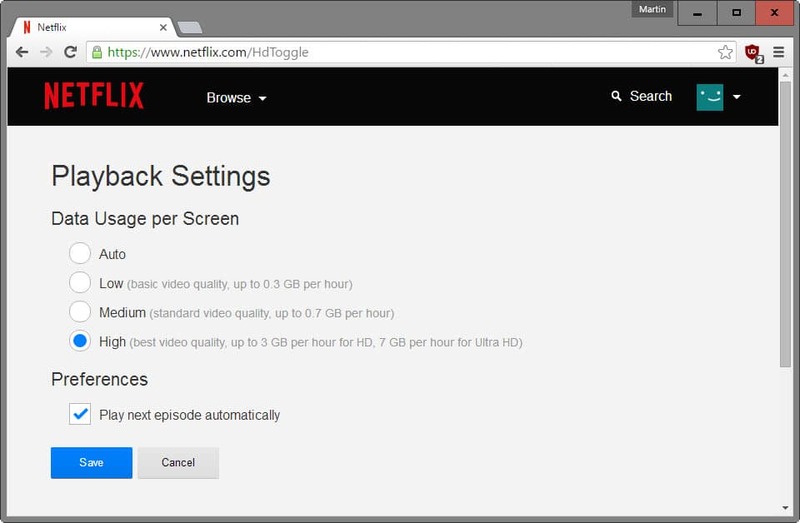 Update: A Chrome and Firefox add-on is available now which unlocks 1080p playback on Netflix in those browsers. Find out what you can do to diagnose Netflix stream quality issues to make sure TV and movie content is streamed in HD. In other words: The limitiation to 720p for Chrome and Chromefox have no technical reasons, correct? No, they all use HTML5 and there are differences in what the HTML5 player delivers depending on browser. ^^ that kinda threw me. 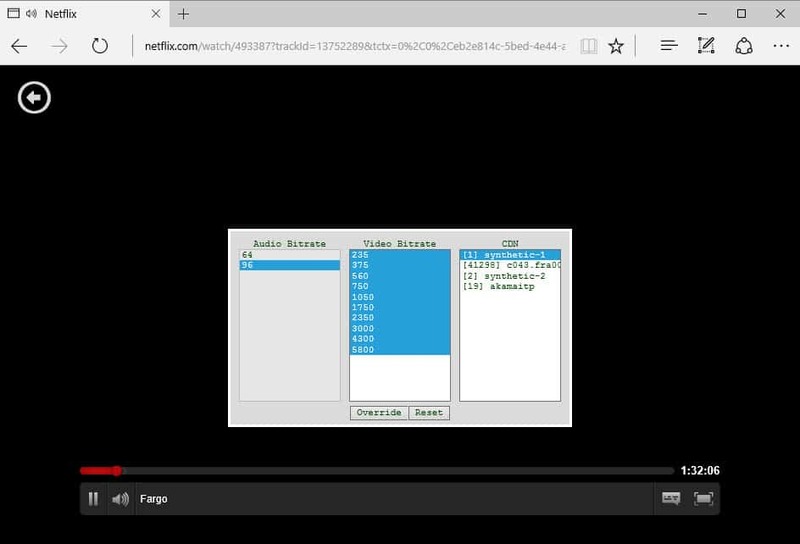 I inferred from that, that netflix detected and used silverlight if you were on IE/Edge since it was a MS product. Never used Netflix, so no idea really. I prefer mkv local files :) Thanks for the clarification. I get Silverlight in FF. There’s a way to force it to use that for Netflix. Macs use Silverlight as well as html 5 there is nothing proprietary about it. Its netflix POLICY to not allow full hd on Chrome, Firefox and Opera. Silverlight has nothing to do with it. I don’t know, Netflix does not provide the information but from what I read it appears to be based on the unfinished state of HTML video implemented by the browsers. But, there is no confirmation of that. No idea about Safari, but I guess its the same as MS. Does changing the browsers user agent have any effect? Did not try that, I put it on my todo list. Tried it, it is not working. Neither the Edge user agent nor the IE11 user agent deliver 1080p in Chrome or Firefox. In fact, the video won’t start at all. Ghacks to the rescue, thank you. I bought a UHD laptop and FF is struggling with HD YouTube period. It’s well frustrating. Just waiting on tab close order preferences in Vivaldi then I am switched, FF is lagging unfortunately. What application is it that you show all the pictures of? It is Chrome, Edge and Chrome again if you mean that. I don’t understand: “Only Internet Explorer and Microsoft Edge on Windows, and Safari on Mac, support 1080p HTML5 player streams” so how can YouTube stream 1080p and higher in Chrome? It is also html5. This is only for Netflix, not for other streaming sites. The main issue here is probably DRM. I would rather watch 720p on chrome then use Edge or IE, also you cant tell the difference anyway. I tried running them side by side on 150mb connection, there is zero difference in quality. No longer the case. Chrome and Firefox have both updated their DRM to Netflix specifications and on some titles I get close to 6000 bitrate for the full 1080p HD experience (and on win7, unlike what previous user marcos mentioned). the netflix website also still says chrome is 720p, though i’ve seen some say 1080p works on a chromebook because then google has full control over the display pipeline. ah, searching for example short 23.976 doesn’t work anymore, but a direct link to the video does. for me, netflix is definitely topping out at 720 in chrome and 1080 in safari, as confirmed by the wee overlay. No, not chromebook, Chrome as a browser on my Win7 machine. Plenty of titles playback 4300 – 5800 bitrate, which is full 1080p. The move to 480p seems to have coincided with this story breaking, so they are likely related. Seems like it would make for a good topic to investigate more, given that Netflix has not updated their support document with this new limitation (but certainly should)? I cannot play these in Germany, not available. Also, cannot play Netflix on Chrome currently it seems as I get a “whoops, something went wrong” for all videos claiming the browser is missing a component. If you get that resolved, I suspect most any movie (other than Netflix originals) will demonstrate the 480p issue in Germany too. So the EME standard as proposed by W3C would have allowed sites like Netflix to force you to use a specific browser on a specific system and/or device in specific regions through DRM and CDM sudo-plugins. I think that is what is going on here. Netflix and Microsoft are trying to define the future of content protection. I personally could not give a toss about netflix and all this internet nonsense about choice of browser being based on whether it can get netflix is a load of old b****x.
I dont care what google thinks i should be using as i believe in freedom of choice and i choose not to use netflix or chrome. F&&k google and F&&k chrome. @JG Thank you so much for that extension. Works like a charm. Tested it out on several movies/shows and plays them all back @ the proper bitrate. Kudos. Thanks so much for this extension. As others noted, works like a charm. There is an issue with certain videos though. Disney titles like Pirates of the Caribbean or The Jungle Book are capped at 480p and the extension doesn’t seem to work with those. Anyone else seeing the same thing?